NOTE: Registration for the workshop is now closed. This page is left up as an archive of the event. GENERAL: Mary Anne Mohanraj will be running a neo-pro workshop out of her house in Oak Park, which is 7 miles from downtown Chicago. She expects it to be primarily SF/F writers, but mainstream, romance, mystery, etc. writers are also welcome. It will be limited to 25 attendees total. – Lori Rader Day (mystery writer; winner of the 2015 Anthony Award for Best First Novel and the 2016 Mary Higgins Clark Award). WHO CAN ATTEND: This is aimed at neo-pros, people who have published 1 or more professional publications, or who have been through one of the other major SF/F writing workshops, such as Clarion, Viable Paradise, etc. Other similar qualifications (acceptance to an MFA program, for example) would also be fine. If in doubt, ask! We may add a more beginner workshop in future years. STRUCTURE: There will be two tracks, critique (16 spaces available max) and retreat. Registration for either track includes lectures from each of the guest pros. Registration for the critique track comes with critique by one pro and 2-3 participants of either a short story (up to 10,000 words) or a novel excerpt (up to 5,000 words). 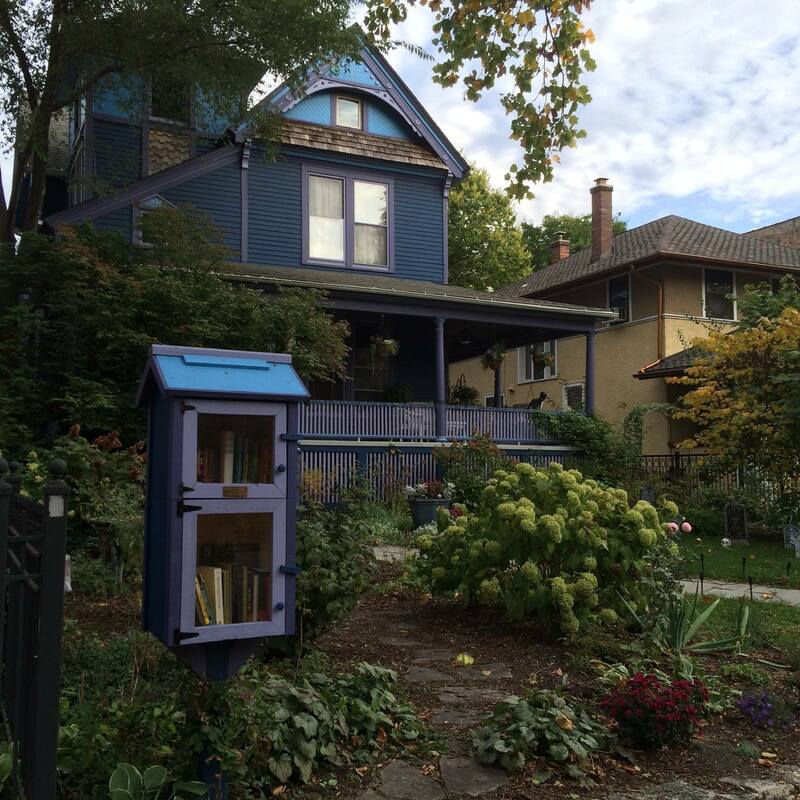 During crit sessions, retreat track participants can have quiet writing time, or explore the neighborhood. There will also be some scheduled free time for all. LOCATION: There are multiple restaurants, coffee shops, boutique stores, and a large library in walking distance. Oak Park is the home of the Hemingway Museum and Frank Lloyd Wright’s Home and Studio, both worth exploring, as well as landmarks Unity Temple and Pleasant Home. Downtown Chicago is a short subway ride away, featuring the Art Institute, Navy Pier, and much more. HOUSING: There are multiple hotels and B&Bs in the area, including a lovely one (the Carleton) two blocks from the house. There are also quite a few AirBnbs. ACCESSIBILITY: The house is an old Victorian, so there are eight steps up to the front door. All main workshop activities will take place on the first floor, and there’s a restroom there. Please note that there is also a small and gentle dog. FOOD: Mary Anne will be cooking one big Sri Lankan dinner, and will also provide breakfasts, simple lunches, and a pasta & salad dinner; if you’d rather, there are also many places to eat out within walking distance. She is happy to accommodate vegetarian, vegan, gluten-free, and other dietary restrictions, but cannot guarantee that the house is entirely nut-free. TRANSIT: Oak Park also has taxi or ride share services for motorized transport. Please contact us regarding parking if you are planning on bringing a private vehicle; there is street parking, but you may need to park a block or two away. We are roughly equivalently close to both O’Hare and Midway airports, and both are accessible via public transit (though it’s a bit of a long ride). COST: $250 (critique track) / $175 (retreat track). Currently enrolled college or graduate students may enroll at the student rates below ($100 / $50). NOTE: A limited number of discounted registrations are available at the same rates as students; to apply for need-based aid, please send a short note to mohanraj@mamohanraj.com, with the subject line: SLF Workshop Aid Application, stating that you are applying for aid, BEFORE you purchase a registration. Applications will be considered on a rolling basis, for both registration and aid. QUESTIONS: If you have questions, please e-mail Mary Anne and ask — mohanraj@mamohanraj.com.